Calling local St. Pete artists! 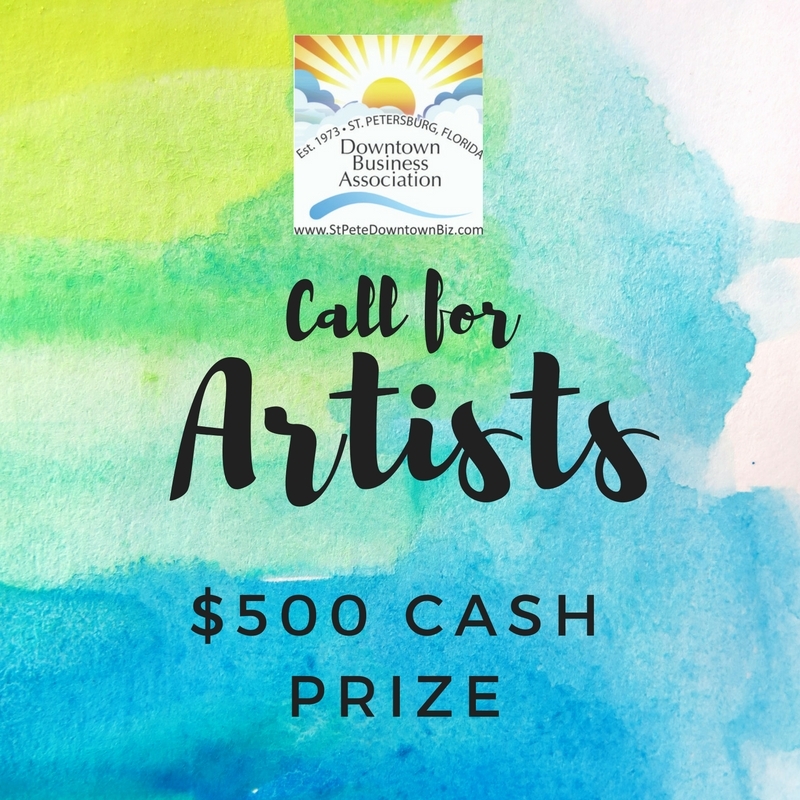 The Downtown Business Association is seeking submissions from local artists to design a logo for its new initiative, the Sunshine Street Team. A $500 cash prize will be awarded to the winning submission. What is the Sunshine Street Team? The Sunshine Street Team is a new initiative by the Downtown Business Association aimed at enhancing the St. Petersburg visitor experience through a group of volunteers who provide directional, entertainment, and cultural center guidance to city visitors. Volunteers will wear branded shirts for easy identification and will canvas the downtown area to assist visitors. WHAT KIND OF LOGO DO WE NEED? Please submit a logo that can be reproduced in black and white and in full color. Consideration will be given to ease of reproduction on T-shirts, printed materials, and digital media. Send submissions with your name and phone number to Gina Driscoll at gina.driscoll@hilton.com by August 31st. The selected logo will be announced by September 2nd. Founded in 1973, the Downtown Business Association (DBA) is a non-profit membership association representing the arts, retail, restaurants, banking, utilities, city government and other various types of businesses, with a common interest of strengthening the downtown area. We promote downtown St. Petersburg as a vibrant, safe and friendly waterfront environment with outstanding entertainment, cultural attractions, educational facilities, retail, art galleries, medical care resources, architectural design and business opportunities.